Using several data sets from patients in two large health-tracking studies, the Nurses' Health Study and the Health Professionals Follow-up Study, investigators performed whole-exome sequencing on colorectal tumor samples from 619 patients—itemizing each DNA base that specifies how cell proteins are to be constructed. 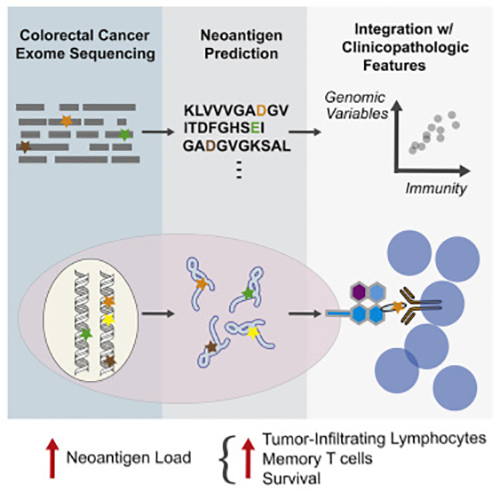 This information was merged with data from tests of the immune system's response to the tumors and with patient clinical data, including length of survival. Physicians often take advantage of therapies known as immune checkpoint inhibitors, which work by removing some of the barriers to an immune system attack on cancer. Although these agents have produced astonishing results in some cases, they're effective only in patients whose immune system has already launched an immune response to cancer. This new study may help investigators identify which patients are most likely to benefit in new clinical trials of immune checkpoint inhibitors by showing that tumors with high antigen loads are apt to be laced with T cells—and therefore able to provoke an immune response. Survey Says: Americans Want to Know, What’s In My DNA?